All of the 2018 lamb crop has been born, 22 lambs, 8 ewes and 14 rams. They are all healthy and looking great. Most of the lambs are fathered by WFM Brahm and WFM Stellar, our imported purebred rams. Five of the lambs are fathered by Fudge, our black Clun cross ram. All of the mothers are mostly Clun Forest, with a low percentage of Katahdin, except WFM Akala & WFM Azaela, our purebred Clun ewes. Below are photos and information on the lambs, and their parents. We are keeping 7 ewe lambs and 2 ram lambs. All of the other lambs have gone to their new homes. Stellar is a handsome and hardy ram, with nice wool. Blazing Star is a large ewe with nice wool. She is a great mother, too. Blazing star's lambs are large and fast growing. Her daughter Cocoa, is our biggest ewe. Blazing Star had large twin rams on March 14th 2018. Both lambs have very promising conformation and fleeces. He has a very soft fleece. He is 2 weeks old in the photo on the left and 2 days old in the photo on the right. Blu is friendly and he has a very soft fleece. May is a nice calm and friendly ewe. She has excellent wool, is a good mother, and very milky. This is May's 3rd time to lamb. May had a very large single ewe on March 27th 2018. She is a beautiful big girl. Jay had excellent conformation and wool. "Meadow" is a pretty young ewe, with good wool. Meadow had a ram lamb on March 31st 2018. He is a nice big boy. His coloring is very Clun. He will be a great wool sheep and orchard/pasture grazer. Akala is a beautiful little ewe. She has nice wool and excellent confirmation. Akala had a cute ram lamb on April 12th 2018. She is an excellent mother. He is a handsome little ram, with very fine wool. He is a purebred Clun Forest. Brahm is a very nice ram. He is very sweet, friendly, large, and has soft wool. Treat is a great mother, with nice gray brown wool. She lambs easily and has twins every time, except for her first lamb. Treat had large twins on March 25th 2018. A ewe and a ram. He is a handsome big boy. He is 2 days old in the photo on the right and 3 weeks old on the left. She is a very pretty ewe with nice wool. She is also quite friendly. She is 2 days old in the photo on the right and 3 weeks old on the left. Star Light is a big pretty ewe with nice wool. She is a good mother. Star Light had twin rams on March 24th 2018. He is a cute lamb with nice wool. He is 3 days old in the photos. He is very calm and friendly. He was born with black wool, but it faded to a light siver gray. He is 3 days old in the photo. Cocoa is very large and she has nice wool. She is a good mother and lambs easily. She has had twins every lambing. Cocoa had very large twin rams on March 29th 2018. Both lambs are very large, 13 lbs and 11.6 lbs at birth. He is very large and nicely built. He is 3 weeks old in the photo. He is very large, has excellent conformation, and lovely wool. Vanilla Chip is a excellent mother, has nice wool and is very milky. Vanilla Chip had twins on March 28th 2018. A ram and a ewe. 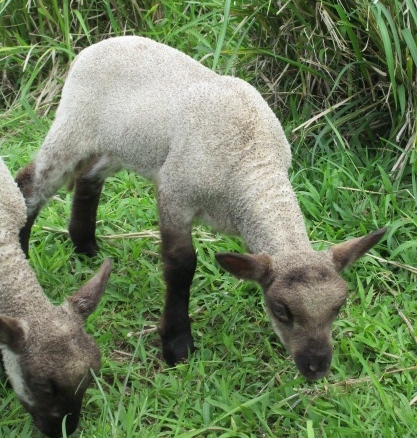 Both lambs are very "Cluny", with great conformation and wool. He is a very nice looking lamb, with very promising wool. She is a beautiful little ewe, with very promising wool. She is 3 weeks old in the photo. Azalea has large fleeces of excellent wool. She is very hardy and has great hooves. 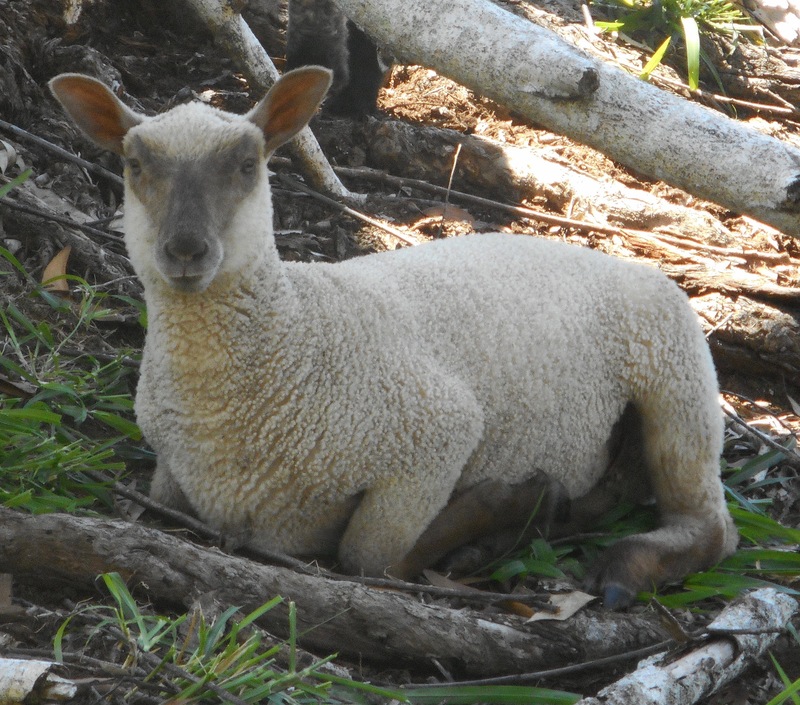 Azalea had a ewe lamb, on March 22nd 2018. This is the first purebred Clun Forest lamb born at Sunbonnet Farm. The lamb will be registered with N.A.C.F.A. Amaryllis is a cute fat lamb. She has excellent conformation and wool. She is 5 days old, in the photo on the right. And 4 weeks old, in the photo on the left. Forest is a great mother and an excellent wool sheep. Her wool is long, soft, and fine. Forest had healthy twins on May 30th. A ewe and a ram. Flower has lovely soft wool and she is quite tame. She is 17 days old on the left and 5 days old on the right. He has lovely wool and conformation. He is 17 days old on the left and 5 days old on the right. Challis is an excellent mother and large. She has fine brown wool. Challis had a big lively single ewe on June 1st. She has great conformation and wool. She is 15 days old in the photo on the left and 1 month old on the right. Fudge has a dark non-fading fleece, is very tame and easy to handle. Fudge is from our original flock, and is not related to our 2016 imported purebred Clun Forest. Freesia has very soft fine wool, which makes lovely yarn. She is a easy keeper, productive, and a good mother. Fressia has had 7 lambs in 4 lambings, all live births. Freesia had black twin rams on February 6th 2018. Both lambs are healthy and doing well. Dusty has a very soft fine fleece. He is 2 1/2 weeks old in the photo on the right and 7 weeks old in the photo on the left. Lefty has a very black fleece, it will probably stay pretty dark. He will be an nice wool sheep, grazer and Pet. Lefty is 7 weeks old on the left and 2 1/2 weeks old in the photo below (lamb on the left). Filaree is a pretty ewe with very nice wool. She is a good mother and very milky. Filaree had twins on March 4th 2018. A black and tan ewe and a stillborn ram. The ewe lamb is doing very well and is very healthy. Filaree's ewe lamb is very cute. 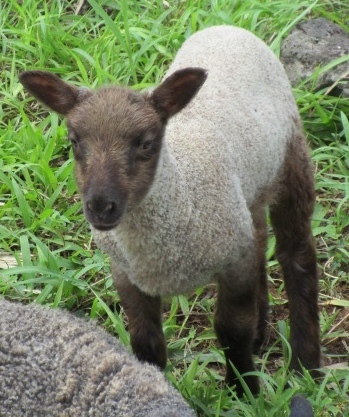 She has a very dark fleece with brown edging along her belly and on her neck. She is 3 1/2 weeks old in the photos on the left and 6 weeks old on the right. Fen is a easy keeper and very friendly. She has very large fleeces of white wool. Fen is a great mother and her lambs grow quickly. Fen has lambed 5 times now, all live births and all with no assistance. Fen had black twins on March 6th. Both are healthy and growing fast. The ewe lamb is super dark, she will probably stay dark, too. She has nice conformation and is very friendly. Fudge Jr is super friendly and is growing fast. He has a nice black fleece, too. He will be a great wool sheep/grazer/pet. He is 3 weeks old in the photo on the left and 6 weeks old on the right.